A random man decided to host a disorderly daytime shindig for himself (and a stuffed animal) out of a car parked in the middle of the University of Arizona campus, according to a UA Police Department report. A UA officer was called to the traffic circle near the Student Union's north entrance, where he saw a small group of people had gathered to stare at a silver Honda sedan parked in the street. One onlooker told him the car's driver had "pulled into the circle, honked his horn (at) random extended blast intervals, yelled at passers-by, made obscene gestures, was intoxicated and reportedly had an open container in the vehicle." The officer could see through the car's rolled-down windows that the man inside was swaying back and forth to music blaring from its speakers while screaming indecipherably at onlookers. 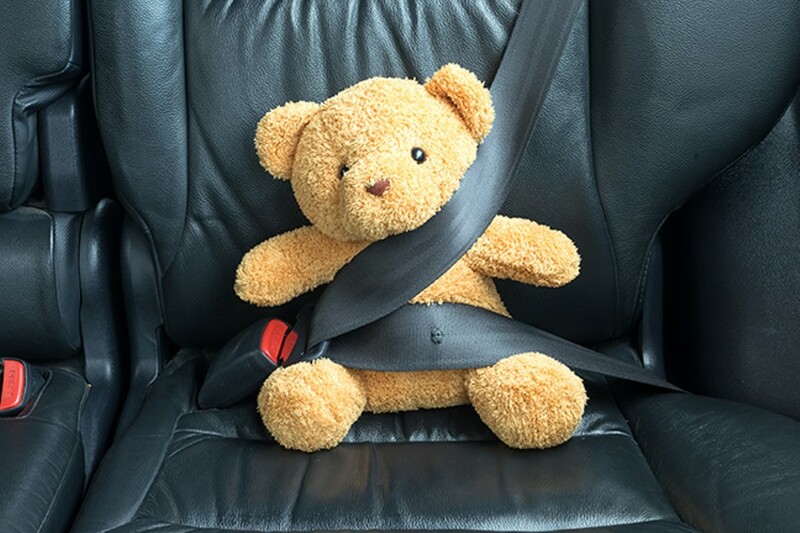 Approaching the vehicle, he peered inside to see numerous cigarettes and butts littering the seats and dashboard; a sizable stuffed animal sat next to the driver in the passenger seat. The man turned down his music at the officer's request. Asked what was going on, he simply replied, "Feeling good!" He thrust his arm toward the officer in an odd gesture with his index finger folded down over his palm, then—when asked to give up his car keys—extended that finger and shook his head, "indicating no" before turning away to gaze through the windshield, turning his music back up, and resuming his rhythmic back-and-forth sway " honking the horn in a random pattern." The officer left the car's side, called for backup and moved the bystanders farther from the vehicle for questioning. One witness said she'd been inside her office in the Student Union when she heard a loud horn blast that brought her outside, where she saw the man in his car. When he saw her, she said, he started yelling, "Hey, baby baby!" and "other unintelligible utterances" before putting his fingers up to his mouth in a V shape and lewdly flicked his tongue between them in gesture she found "disgusting." Other witnesses said they'd seen the man catcalling her, "laying on his horn" and yelling, and that he seemed intoxicated and was drinking something from a can. When one backup officer arrived, the man refused to talk any more, just sitting there "smoking cigarettes, sporadically honking his horn, turning his stereo up and...shaking slightly." When another officer arrived and loudly informed the subject he was disturbing people, the man turned up his music even more, declaring "he was partying." Eventually one officer was able to reach inside the car and grab the keys from the ignition, and another dragged the man out of the vehicle by the legs of his jeans. He was handcuffed and brought to the Crisis Response Center for psychological evaluation.